Expert Cleaning of Carpets & Upholstery in Northwich. Outstanding results. 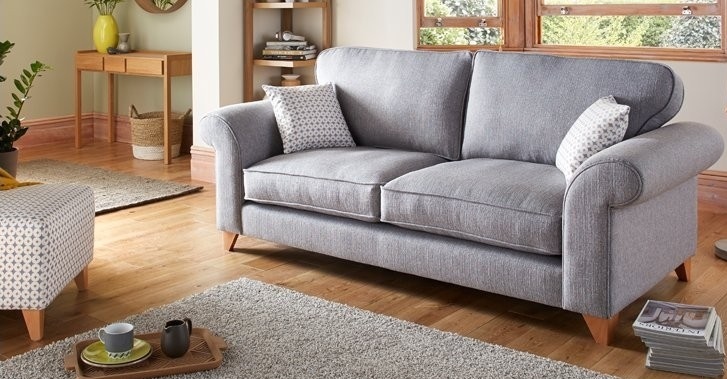 We provide first class cleaning of carpets & upholstery in Northwich Cheshire. Our company specialises in the cleaning of carpets & upholstery in Northwich and surrounding areas of CW8 and CW9 . In addition to deep cleaning of carpets, we also offer rug cleaning and the cleaning & restoration of hard floors. Being established since 2001, we are one of the leading carpet cleaners in Northwich Cheshire that uses only the latest powerful cleaning equipment and techniques. Our solid reputation has been built on quality of service, fair pricing, reliability and a commitment to customer satisfaction. Area coverage includes: Barnton, Cuddington, Davenham, Delamere, Hartford, Moulton, Pickmere, Rudheath, Sandiway, Weaverham, Whitegate, Wincham, Winnington and surrounding areas. Our deep carpet cleaning system and specialist techniques have been developed during the last 17 years using only the latest technology to give you superb results. Our specialist products and high performance carpet cleaning equipment removes soil, grit and carpet stains which leaves no sticky residues behind which can accelerate the re soiling process that could make your carpets or upholstery dirtier quickly. 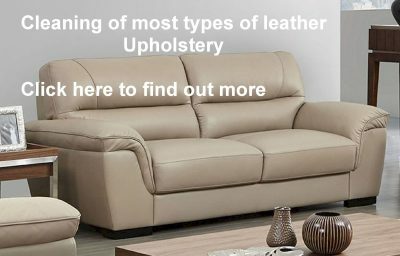 We also offer the professional cleaning of fabric upholstery and leather furniture in Northwich. If you are thinking about having your carpets cleaned, why not consider having your suite or fabric furniture freshly cleaned. We can provide a free no obligation for your consideration. 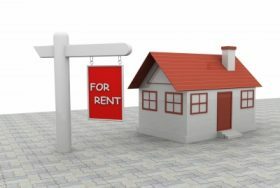 If your a tenant moving out of a rented property in Northwich, you will want to ensure that the property is left in good clean condition to recover your full deposit. Many landlords and agents now require that the carpets are professionally cleaned at the end of a contract. We restore and clean many thousands of square meters of industrial commercial carpet every year to local businesses in Northwich including hotels, shops, schools, care homes, nurseries and office buildings. Not only does having your commercial/industrial carpets deeply cleaned improve the image and appearance and of your business premises, but the cleaning process also kills and removes bacteria which in turn improves air quality. 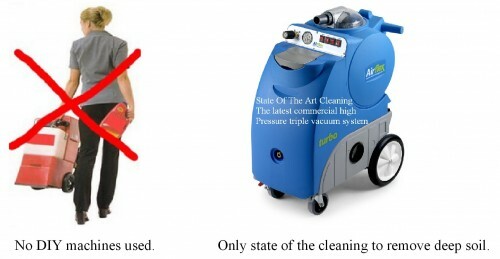 The removal of stains and spillages will also immensly improve the carpets appearance. 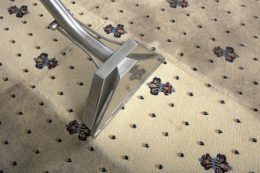 Additionally, regular cleaning removes grit and soil from the carpet that causes premature wear, therefore extending the life expectancy of the carpet by several years. We are experts at end of tenancy cleaning in Northwich. We have provided a service for clients moving home for many local estate agents, landlords and home movers for many years. Additionally you may be moving into a new home and want to ensure that the carpets do not have in them what the previous occupier has left behind. 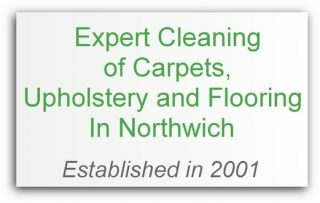 How do I get a quotation for my carpets, upholstery or flooring in Northwich? If you just have one or two rooms that need the carpets cleaned in Northwich, we may be able to give you an estimate over the phone if you have your room sizes to hand. For several or more rooms, it may be more appropriate to pop in and measure you rooms and leave you with an accurate quote for your consideration. 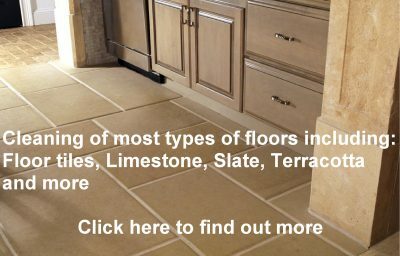 Check out the floor cleaning page here. Do you offer the cheapest carpet or upholstery cleaning in Northwich? Many companies offering low cost cleaning, often cause disappointing results due to using inexperienced staff and also DIY low quality machines such as Rug Doctor hire equipment or non professional machines which can leave your carpets wet for days. It is often a misconceived idea that a cheap offer will provide the outstanding results that can be achieved with the high performance carpet cleaning machines costing many thousands of pounds that we provide. Therefore we do not offer the cheapest prices in Northwich nor the most expensive, but you will find we offer the best value for money where you can be confident of only the best results possible!